KATHMANDU, May 4: A top aide to Prime Minister Pushpa Kamal Dahal has said that Nepali Congress (NC) President Sher Bahadur Deuba will become prime minister after the first phase local elections are held on May 14. Speaking at an interaction organized by the Reporters Club here on Wednesday, Chakra Pani Khanal, political advisor to the prime minister, said that Prime Minister Dahal will hand over the premiership to NC President Deuba, as per the understanding reached between NC and the CPN(Maoist Center). 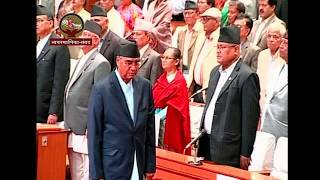 “Nepali Congress President Sher Bahadur Deuba will become prime minister after the first phase of the local elections. The agreement reached between the two parties won't be broken,” said Khanal. Khanal, however, said the two parties are currently holding discussions to settle issues related to the budget. As per the constitution, it is mandatory to unveil the new budget every year on Jestha 15 (May 29 this year), and NC wants the new budget unveiled under its leadership. The Election Commission has reminded the government that the budget cannot be presented before the elections are completed as budgetary decisions could affect the election outcome. 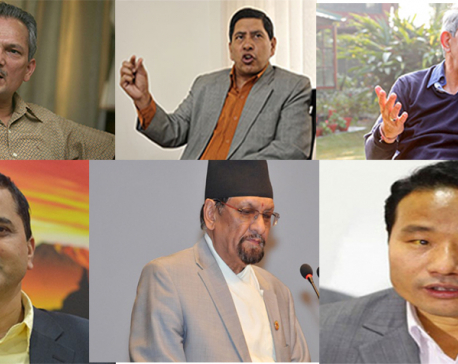 Earlier, NC and the Maoist Center had reached an understanding that Prime Minister Dahal would hand over the premiership to NC President Deuba after holding the local elections by mid-April. But as the local polls are now to be held in two phases and the second phase is scheduled for June 14, there were apprehensions that Dahal would stay put until that phase had taken place also. Maintaining that the coalition between NC and the Maoist Center would continue even after Dahal hands over to Deuba, Khanal said many governments collapsed in the past as the parties concerned failed to honor gentleman's understandings. “That tendency won't be repeated this time,” he further said. Khanal claimed that the constitution amendment bill, which is currently in parliament, will be endorsed immediately after the first phase local elections. “We need to win the confidence of Madhes also. The new government will announce the dates for the provincial as well as federal elections,” he stated. Khanal further claimed that the RPP had withdrawn its support from the government not because of any particular issue but solely due to internal problems within the party. “They decided to quit the government as the party was on the verge of a split. We will welcome them into the new government if they decide to be part of it,” he added. Also speaking on the occasion, NC leader Dipak Khadka said the Maoist Center will hand over the premiership to NC President Deuba after the first phase local polls.